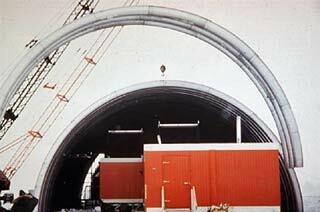 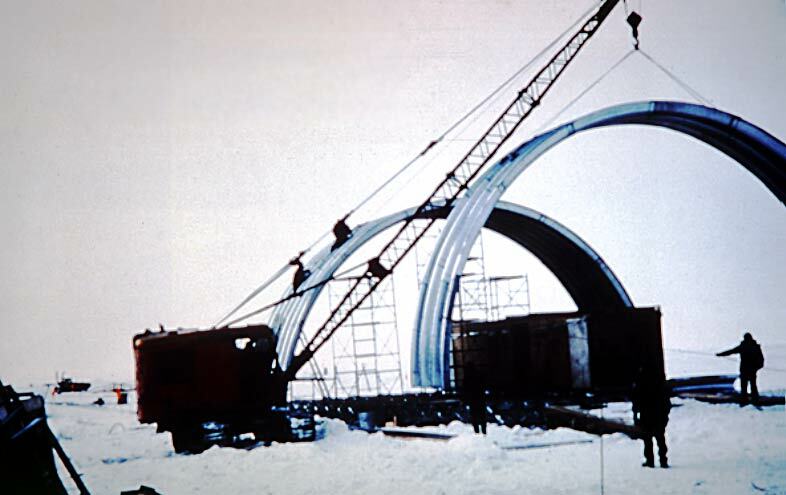 During 1973-74, the Navy (NMCB-71) continued construction on the arches and above-surface structures, while Holmes and Narver (H&N) worked on utilities in the utilidor and elsewhere, as well as the fuel system. 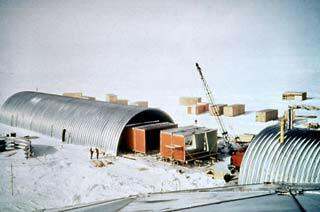 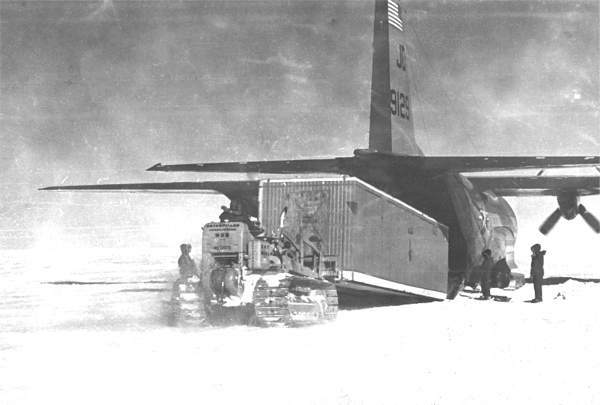 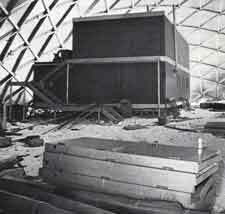 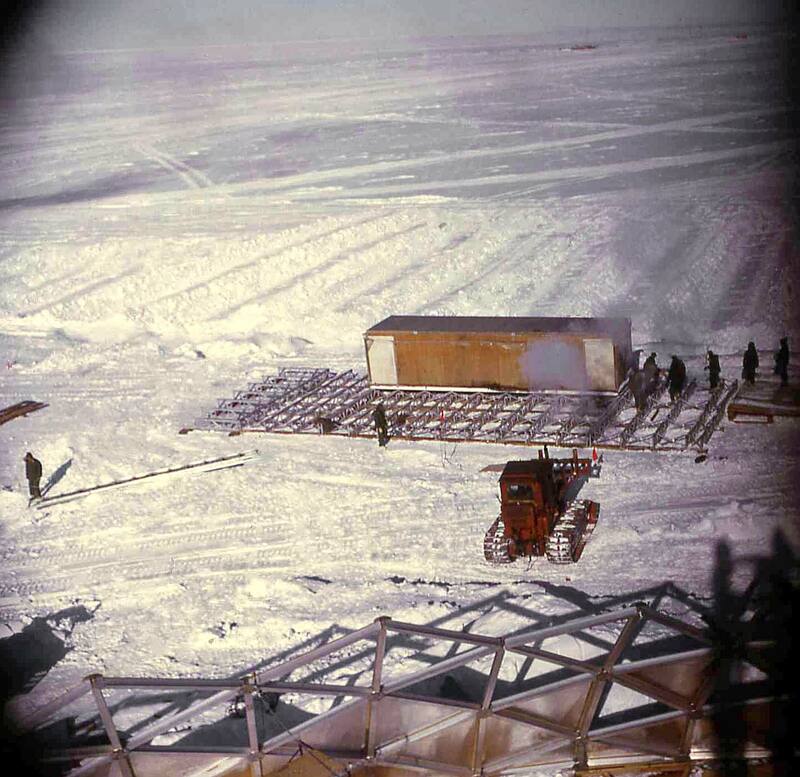 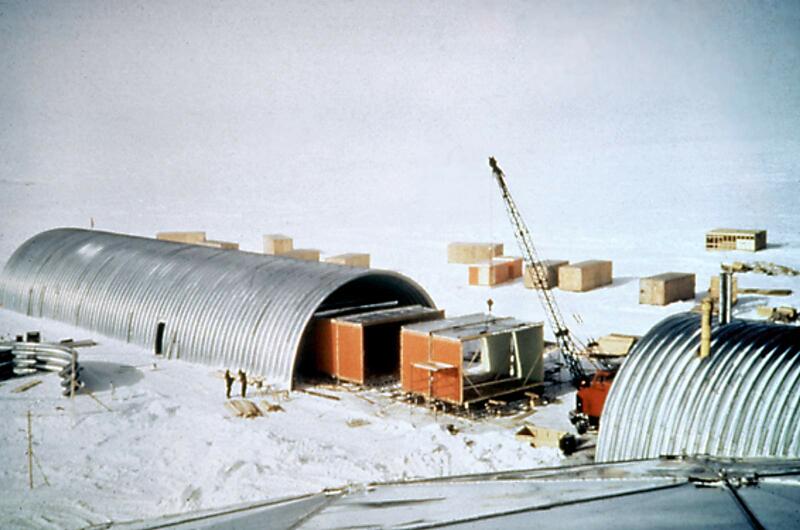 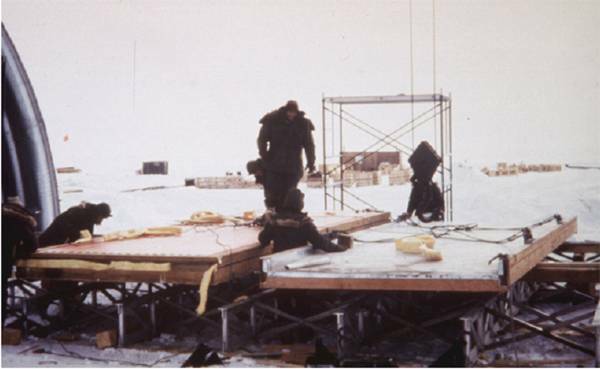 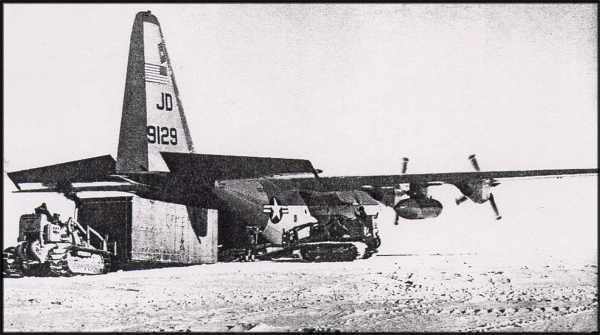 All of the construction cargo had to fit inside of an LC-130...the station structures were designed and built by ATCO (the Alberta Trailer Company, whose camps were later used to build the Alaska Pipeline as well as the permanent runway at Rothera). 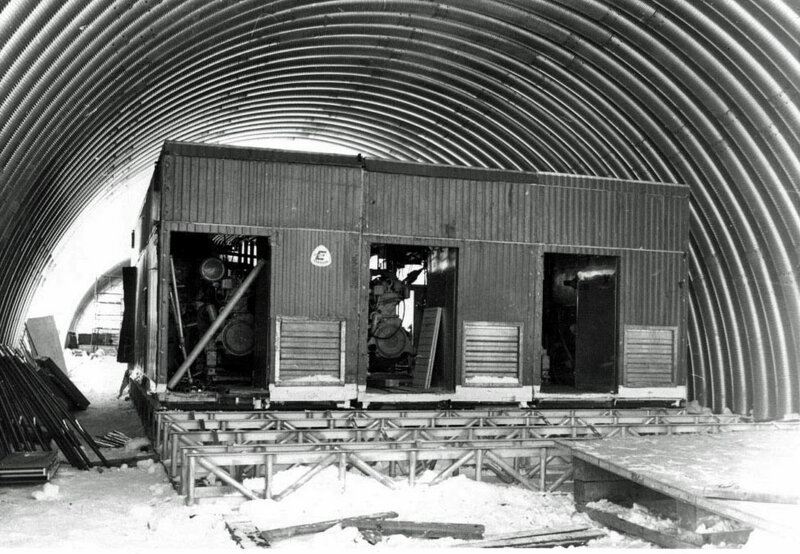 Some ground floor portions of the buildings such as this one were delivered assembled; the upper floors and interior sections were shipped prefabricated and knocked down. 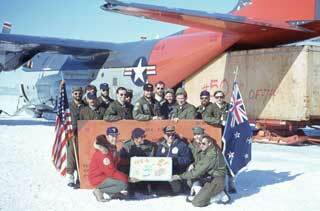 At right is another mystery photo from the Pole Souls darkroom archive; EO3 Jim Burke of NMCB-71 is driving the 955. 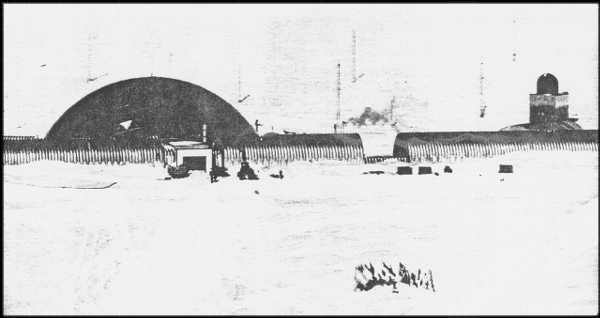 The station from the northeast, here is the fuel arch. 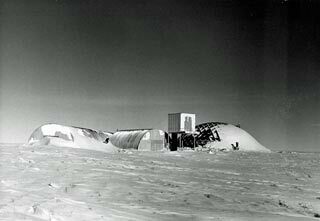 This U.S. Navy photo was taken on 4 February 1974 by PH1 K. Thorneley. 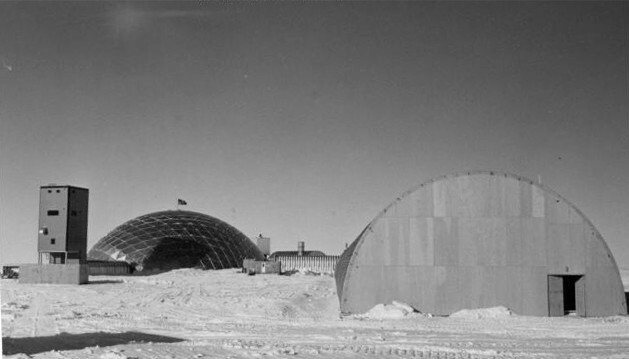 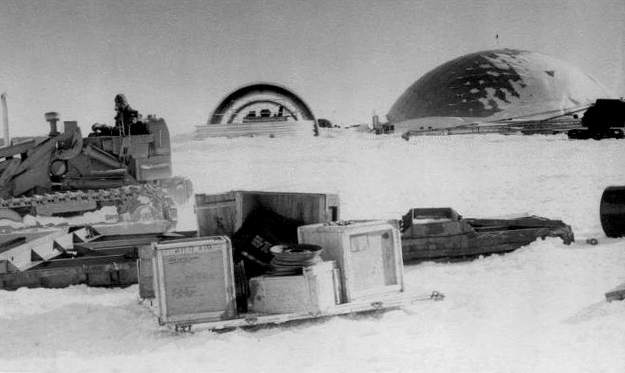 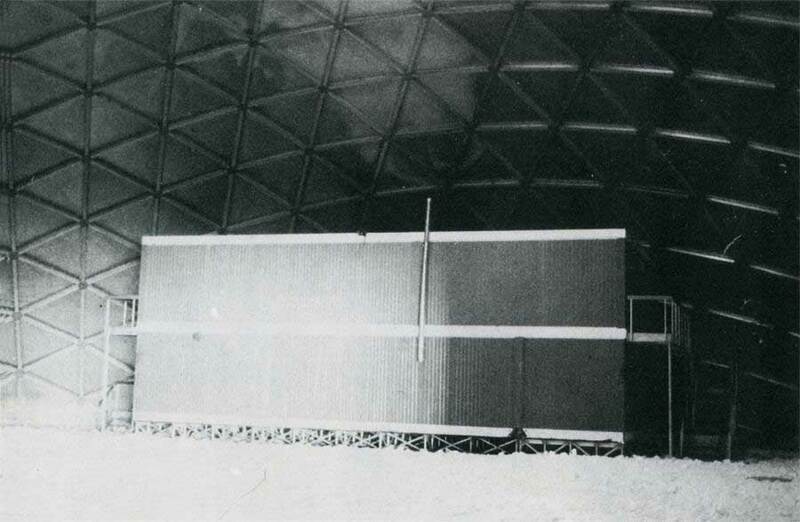 The photo at left is from the cover of the March/April 1975 Antarctic Journal which included the feature article on what we knew as the "new South Pole Station." 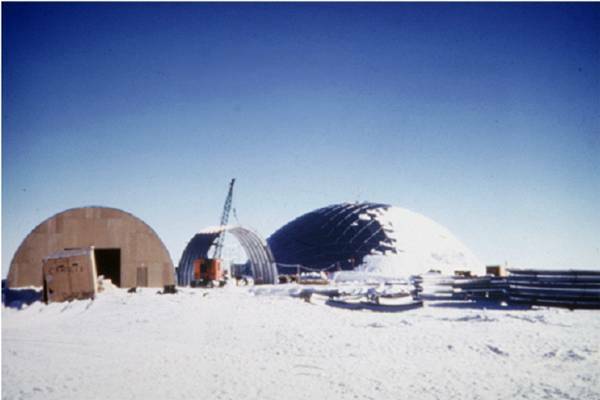 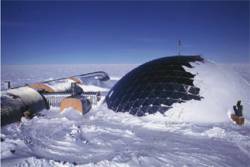 You can read the article here as a part of an archive of Jeff Kietzmann's "save the dome" web site, later updated by 2001 winter site manager Jerry Macala...well, I need to update this page to my archive copy with the photos from that Antarctic Journal article).